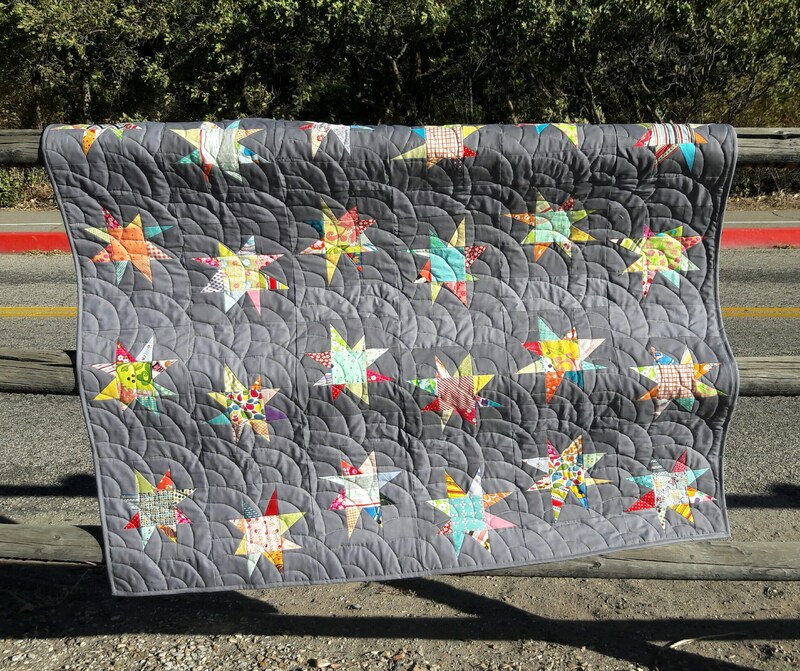 Sparkle is a modern, scrap friendly, patchwork baby quilt. 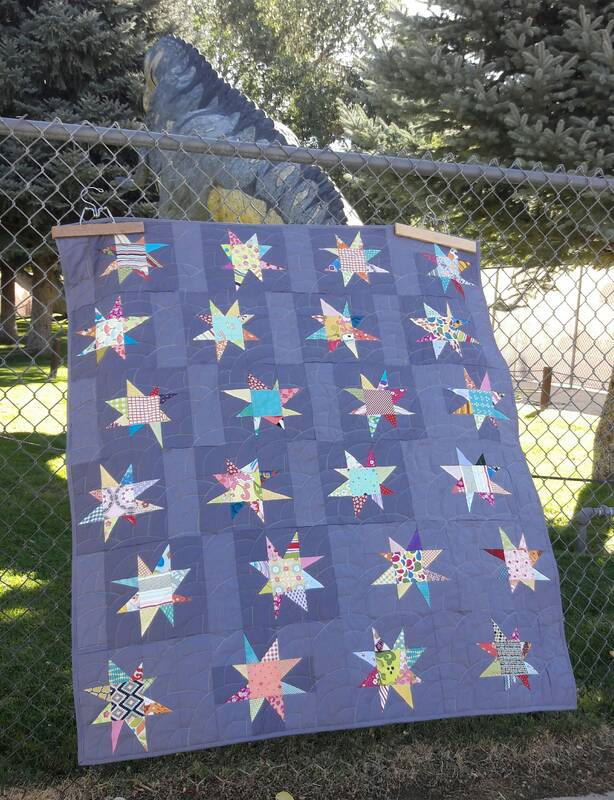 Maverick stars are pieced using an improvisational method that is so easy. The two tone background gives it a dimensional look. Simple enough for a beginner quilter. Baby Quilt 50" x 56"